“He uri whakaheke nō ngā tātai whakapapa o Te Whānau a Te Aopare, o Te Whānau a Hinerupe hoki, ko Ngāti Porou te iwi - Tīhei Mauriora! 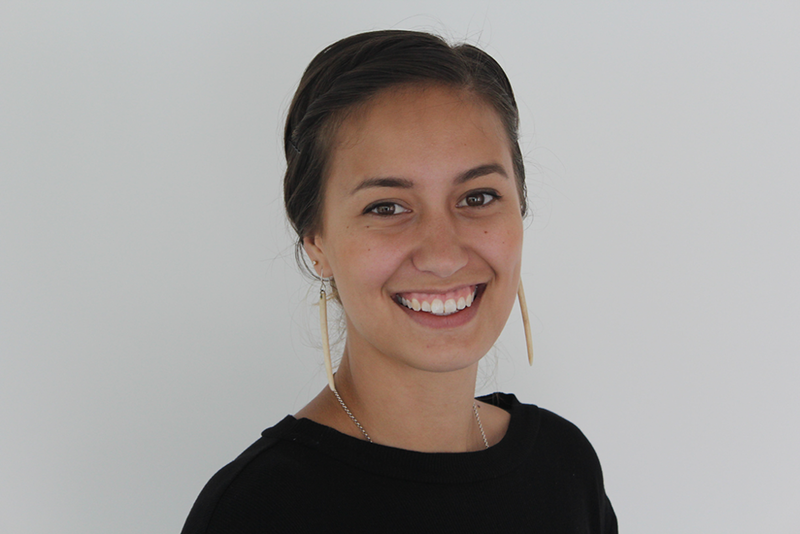 Jessikha walks confidently in te ao Māori and te ao hurihuri and has been involved from day one as The Kindness Institute's cultural advisor and high school facilitator. She represents Aotearoa internationally in Kapa Haka with Te Waka Huia Kapa Haka and has participated in several leadership and entrepreneurial programmes. As a Māmā of two Jessikha is currently completing her Graduate Diploma in Psychology and plans to specialise in community psychology. She is passionate about our rangatahi and wider communities realising their potential and harnessing different bodies of knowledge to enhance holistic well being. She loves working with The Kindness Institute as it aligns with her passion for ensuring that our future generations have the tools to not only be, think and live well but to reach their potential in all aspects of life. Ko tō ngākau ki ngā taonga a o tīpuna, hei tikitiki mō tō māhunga!" Kirsten is a writer, editor and the owner of Mabel Maguire Ltd, a small but perfectly formed creative agency. Her first foray into volunteer work was while living in New York, with Big Brother, Big Sister USA, and it crystallised her belief that anyone can make a difference in the world with their time, effort and love. Back in New Zealand, she works with The Kindness Institute because she believes every kid in New Zealand deserves love, support, encouragement... and the best tools possible to manage the stresses and hardships life brings. Sum means 'heart' and this has guided Sum throughout her life. She is passionate about helping others and volunteering and it’s been through her volunteer work that she’s had the privilege to work with young people – she finds it energising and inspiring hanging out with young people and loves being able to support them to reach their potential. Sum has a background in law, youth development, corporate philanthropy and sustainability and has been a long time volunteer at Youthline and enjoys mentoring young people.. Sum is currently Community Manager at Westpac. The kaupapa of the Kindness Institute resonates with Sum – it’s empowering and strengths-based and is helping young people prepare for the ups and downs of life. Kristina is a Coach and Educator, specialising in Mindfulness, Yoga & stress reduction. Her background is in education, leadership, not for profit management, public speaking and fundraising. For more about Kristina, click here. Cheryl is a founding director of Mind Coach, a boutique executive and leadership coaching consultancy aimed at delivering coaching experiences to a broad range of leaders to help grow leadership capability in NZ. She is also a senior leader and consultant with over 20 years’ experience in the fields of operational, project and general management with a core competency in change and transformation. A passionate advocate for both young people and women in business, Cheryl mentors and coaches several young women starting out in their careers. Her interest in The Kindness Institute comes from a deep desire to support young people develop resilience to thrive in such a fast changing world.